South Island Home Team have collectively sold over 1000 newly built homes. Our realtors know how to navigate the sale process for a new home and can assist with the specialized contracts, appointments and other unique aspects of purchasing a newly built or pre-built home. Below are some common factors in purchasing a new home. G.S.T. may be payable on the purchase price of newly constructed or substantially renovated residential home. The Newly Built Home Exemption reduces or eliminates the amount of property transfer tax you pay when you purchase a newly built home. There are stipulations for this provincial tax credit, and not everyone will qualify, so make sure you speak with us and visit http://www2.gov.bc.ca/gov/content/taxes/property-taxes/property-transfer-tax/understand/exemptions/newly-built-home-exemption for more information. When you purchase or gain an interest in property that is registered at the Land Title Office, you may be responsible for paying property transfer tax. For more information you can visit: http://www2.gov.bc.ca/gov/content/taxes/property-taxes/property-transfer-tax and give us a call. One of the most exciting parts of buying a new home is getting to choose colours, paint, appliances and kitchen cabinets etc. However, every contract and development is unique, and we can help guide you through the expectations and options for your specific purchase. Changing finishing items and floorpans may need need to be contractually agreed by both buyer and seller and and may not always possible. South Island Home Team has extensive experience with helping buyers navigate the options and upgrades process when purchasing a new home, and will work towards getting your home built just as you like it! When the time comes to move into your new home you may do a walkthrough with a representative of the builder and you will fill out a sheet that identifies any deficiencies. Deficiencies can be a wide variety items but in general include items like paint touch ups and landscaping that need to be finished (weather and seasonal dependent) etc. 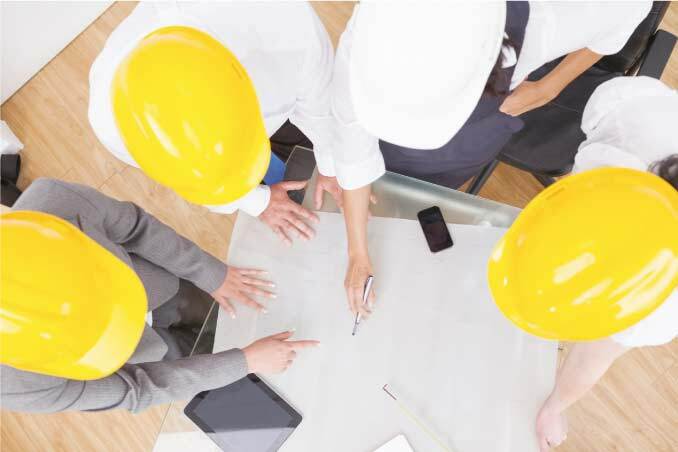 The Builders Lien Act provides a form of security to contractors, subcontractors, workers and suppliers who work on a building that is under construction. Our team can explain the details and how it may affect your purchase, and can point you in the right direction if more information is required. 8 new town homes in a new location in the heart of Langford's town centre. These homes feature 2 unique floor plans with 3 bed room or 2 bedroom plus den (with skylight) layouts. All homes feature generously sized family rooms with yard access and patio, 3.5 baths, eat-in kitchen with an adjacent dining area with patio and living room, designer selected finishings with quality materials including Stainless Samsung appliances, quartz counters, window blinds, fully fenced low maintenance yards with synthetic lawn and full landscaping and irrigation, garage with separate storage room, and much more. We're excited to introduce a new option for new homes in Langford that puts you on a quiet street in an established, level neighbourhood that is truly walkable to all of downtown Langford's many shops, services, restaurants, bars and cafes, trails, schools and more. A new neighbourhood in a new location, only 1 minute from the new Leigh Road interchange with easy access to both directions of Highway 1. Southpoint is located in a peaceful mountainside setting offering valley, mountain and water views, and is directly adjacent to shopping, parks, trails, lakes, golfing and the new Langford Aquatic Center. With only 9 fee-simple, suite-permitted building lots in this release, choose from walk out basement or step-up style lots, some with views and backyard green space. Our building scheme and design guidelines will help maintain both property values and a level of quality throughout the development, and buyers are welcome to use their own builder and designer. Fully serviced, fee simple, build-ready lots starting at $309,900 plus GST. Langford's newest neighbourhood, Lobo Vale Mews, offers a unique mix of Fee-Simple and Strata Townhomes. Built by award-winning builder, Verity Construction, Lobo Vale Mews offers townhome living that is easy on the eyes and ears. These stylish and well-built townhomes feature the latest in Insulated Concrete Form foundations with solid concrete party walls between units for peaceful, quiet living. Inside, choose one of two designer colour schemes from the acclaimed Dawn Garneau of Nygaard Interior Designs. A new collection of 30 Strata Homes that brings a new perspective to the Westshore. Offering family friendly floorplans, designer selected finishing and a location near the heart of Langford.